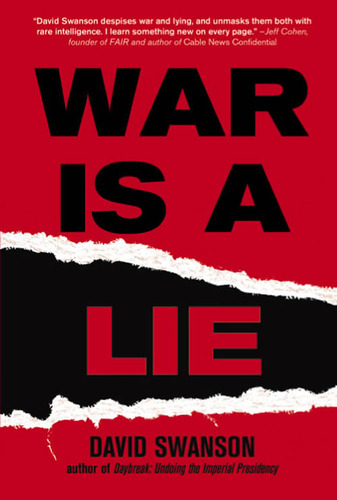 David Swanson joins us to discuss his new book War Is A Lie. He is also the author of Daybreak: Undoing the Imperial Presidency and Forming a More Perfect Union and blogs at davidswanson.org and warisacrime.org. David will be speaking at Barnes & Noble at 3330 St. Paul Street in Baltimore Monday January 10th at 7pm. Click here for more details.